We’ve finally received the PS4 port of The Legend of Heroes: Trails of Cold Steel in the West. I ended up with my own copy of the physical Decisive Edition and got to see how it looked on current gen consoles, having never played the PC version before. The Legend of Heroes series is something I jumped into for the very first time when I bought a Vita copy of Cold Steel last October. Today, I’d like to discuss what I think of the game as a newcomer to the series and let you know a little about this newly localized port. Did I love it, did I hate it? Is the game worth re-buying and playing again for PS4? Read on and let’s find out. 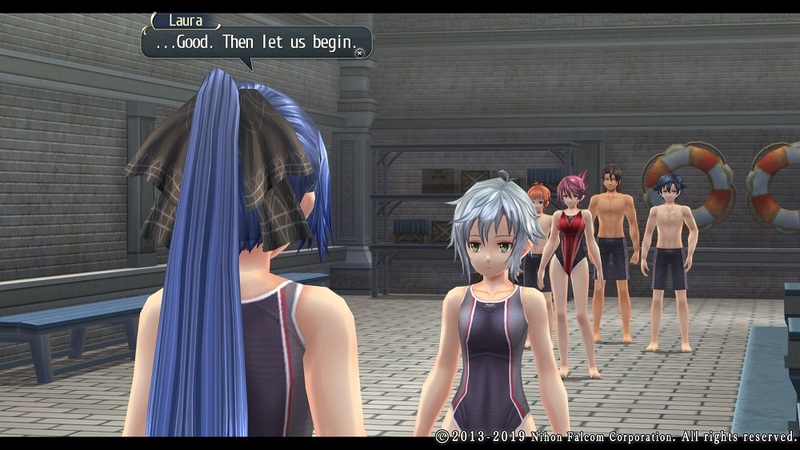 Trails of Cold Steel follows the story of Class VII at Thors Military Academy. Like our original review of the game explains, everyone in Class VII has their own reasons behind coming to this military academy. During their time there, they’ll go on field studies throughout the year and learn more about Erebonia, the country their academy is located in and where most of the class is from. Erebonia is at a point where new technology is coming to fruition and political tension between the upper class and commoners is boiling over. Class VII will find themselves in the middle of many of these conflicts. If you’re new to the series like me, you’ll notice the story starts off relatively slow-paced. The first half of the game is where you learn more about how Erebonia runs, the history of the country and what each character’s story is. Seeing as the game is spread out across numerous entries, not all of which have been localized yet, this first entry in particular takes its time immersing you in the world. The slow and slightly repetitive nature of the game is not for everyone. 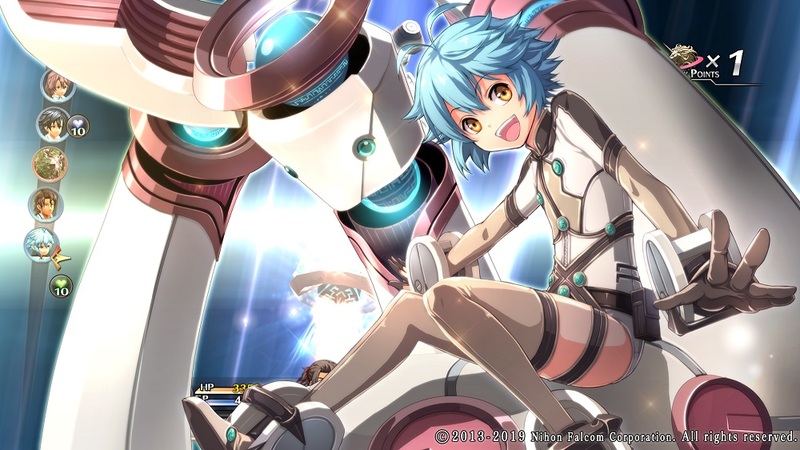 However, if you want to get into the series and haven’t played the previous arcs which took place in other regions neighboring Erebonia, then you’ll appreciate the storytelling by the end of your playthrough. Plus, if you take your time exploring town and talk to everyone during Rean’s free days (Rean being the main character), then you’ll also be getting to know his classmates a lot better and become more attached to the story. By the time the credits roll, you’ll hardly be able to wait for the next Cold Steel entry. There are many different skills and whatnot to choose from when equipping quartz. The gameplay is relatively simple. You’ll spend most of your time walking around different towns and fulfilling quests. Many times during those quests, you’ll end up in dungeons and highways outside towns where there are monsters to fight. Battles are turn-based and they aren’t hard to figure out. 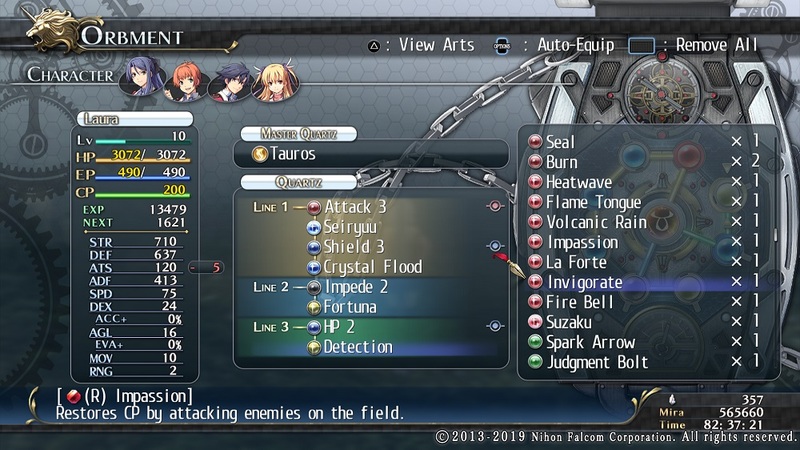 Each character has different skills to use depending on what quartz you’ve equipped and you can move them around the enclosed battle field as needed. Despite the deceptively basic gameplay, some of the later battles, bosses in particular, can be tricky to defeat and will require you to strategize more. Though there’s always a save point before every boss where you can heal, so you don’t have to worry about being unprepared. Also, I can’t forget to mention that there’s a super speed option you can toggle on or off. Whether you don’t want to spend forever in battles, or it’s simply not your first time playing, it’s a very useful option to have. I myself found it incredibly useful when running back and forth across town. The art really does look fabulous on PS4. Graphically, this new port looks much better on PS4 than it did on the Vita. There are times in the original version where the system was unable to handle everything that’s going on and it seemed a bit laggy. I didn’t personally experience any of this in my PS4 copy. The anime-styled game opening and other similarly styled art elsewhere, such as the S-Craft portrait cut-ins, look much cleaner as well. Unfortunately, other than being overall cleaner and lacking lag, the actual in-game character models haven’t changed. I personally am not a fan whatsoever of the cheap looking, almost free-to-play MMO quality character models. 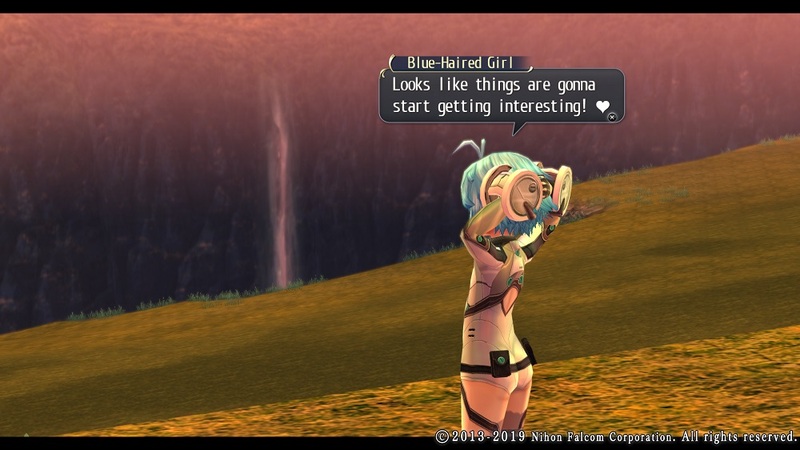 I see them in all of Falcom’s more recent titles. Character models such as these cause clipping everywhere and thus, it’s not the highest quality game as far as looks go. Nonetheless, once you’re absorbed into the story (which includes fitting music throughout by the way), it’s easy to look past those character models and enjoy the depth and substance the writing contains. And let’s not forget about all of the content that was originally paid DLC, which is included for free. You can find numerous DLC outfits and items stored in your inventory. It’s such a shame that manuals are no longer a game industry standard. Another addition to Trails of Cold Steel on PS4, which previously was exclusive to the PC version, are the many additional spoken lines in the English dub. The game isn’t completely voiced, there are still a good amount of non-voiced lines. But since I personally thought the voice acting was done well, I welcome the additional spoken lines in a long JRPG like this one. To me, having quality voice acting gives a game more life and personality. Nevertheless, if you like Japanese dubs more, you’re free to pick whichever language you prefer. This was newly added on PC as well and at least in the West, was never an option in the Vita and PS3 copies of the game. Basically, if you’ve already played Trails of Cold Steel on PC, there isn’t much reason for you to pick it up on PS4. Unless of course you want the absolutely fantastic new Decisive Edition that XSEED released the game in. I missed out on the launch editions the first two Cold Steel entries received on Vita, so I was extremely happy with this new edition. It makes it absolutely worth double dipping. The Decisive Edition comes with a beautiful steelbook, in addition to a coin resembling Erebonia’s 50 mira coin, a 21 songs “Music Selections” CD and a nice fat gorgeous 52-page manual. Sadly, finding gorgeous manuals within the case is ridiculously scarce nowadays and no longer an industry standard. I very much miss them. 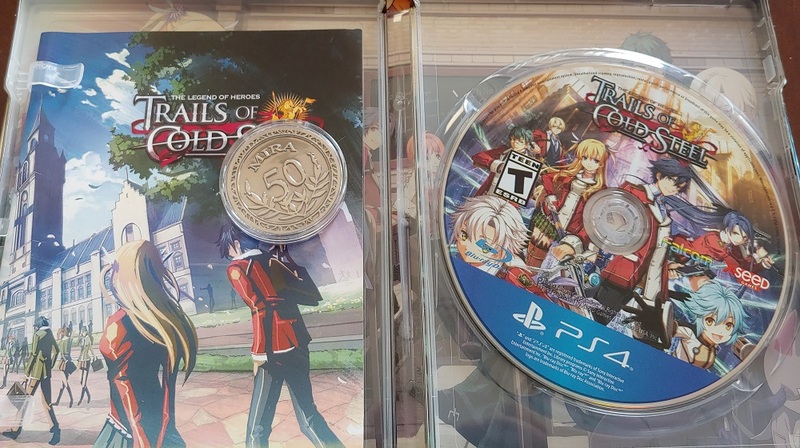 If you’re already a fan of the franchise and you’ve been wanting some physical Trails of Cold Steel perks, I would absolutely recommend getting this new physical copy while you still can. Millium is one of my fave Cold Steel characters. She’s so cute and carefree. 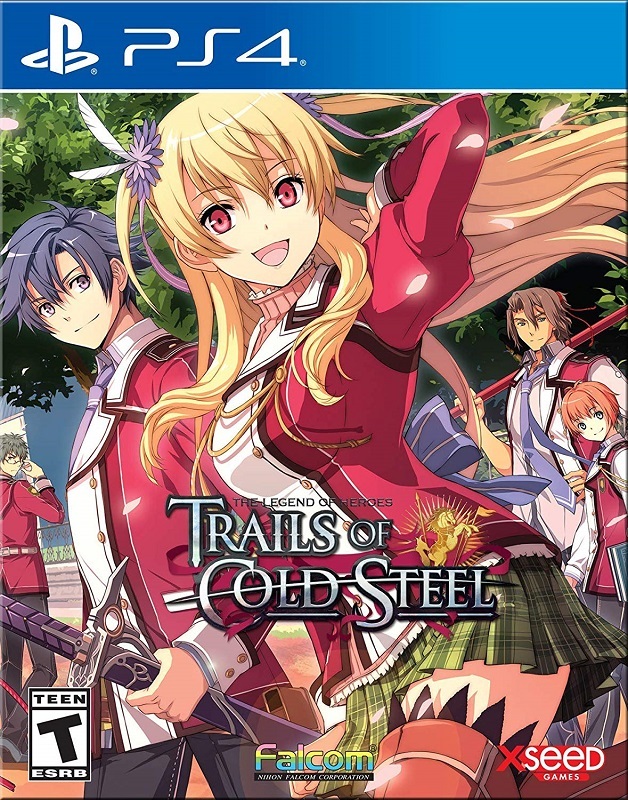 Trails of Cold Steel takes time to get into and takes a while to start having fun with. It’s like a good book in that respect, it starts off kind of okay, not fantastic, and then slowly builds up into an exciting narrative where all the juicy stuff happens. So if you’re a fan of JRPGs already, once you do get into it it’s possible you’ll find yourself falling in love. There isn’t anything new for those who already bought it digitally for PC. Though as I stated earlier, it’s worth it should you purchase the physical Decisive Edition. I’ve gotten a lot of enjoyment out of trying this series for the very first time and it was worth playing again on PS4. I can’t wait for the second game’s Relentless Edition to come out for PS4. In the end, it’s not perfect nor the best JRPG ever. Still, I think those who already consider themselves fans of JRPGs should give it a shot, it’s a fun adventure. Author used their personal copy for this review.